How do reviewer changes impact visibility? 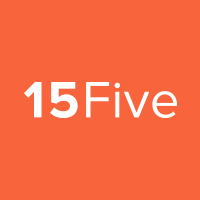 As an administrator or manager of a team, you can change the due date on 15Fives at any time. Depending on your company, you might find one day to be more effective for your organization than other days. You can easily adjust the due by performing the below. If you need to change the frequency of 15Fives, see this article. NOTE: Only administrators and managers will be able to change due days. 1. Click on your avatar in the right-hand corner. 2. From the drop down men, click on 'Manage people'. 3. Click on the person whose due date you wish to change. 4. Change the Due day for 15Fives using the drop down. 5. Click 'Save' when you are finished. Need to change more than one user's due day? 1. Click on your avatar up in your top right. 3. Filter by Reviewer or Group. 4. Select the users you want to change, and then use 'Bulk actions' to change their 15Five due day. Need to change the whole company's due day? NOTE: At this time, 15Five does not have an option to select a Due Date, only a Due Day. For example, you cannot set up 15Fives to be due on the 5th and 20th of each month.